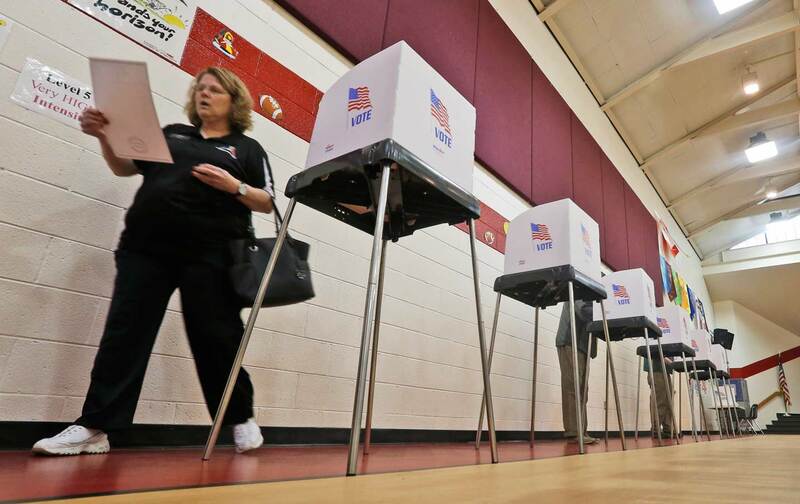 200,000 registered voters could be blocked from the polls after a federal court upheld Virginia’s voter-ID law. Josephine Okiakpe, a 69-year-old African-American woman, grew up in a small town in North Carolina in the Jim Crow South. She attended segregated schools, where black students received textbooks only after white students were done with them. After Okiakpe moved to Virginia, she brought her birth certificate, Social Security card, voter-registration card, and bank statement to the polls with her, but was unable to vote under the state’s strict voter-ID law, which required a government-issued photo ID to cast a ballot. The only photo IDs she had were a North Carolina driver’s license and an expired Virginia DMV card, neither of which were accepted. As she argued with poll workers, other voters in line snickered at Okiakpe. “I felt very frustrated, very upset,” she told a federal court, the Associated Press reported reported. Okiakpe wept as she told the story. She was ultimately given a provisional ballot, which was only counted after Okiakpe obtained a valid voter ID in Manassas days after the election. On Thursday, federal district court judge Henry Hudson upheld Virginia’s voter ID law, despite hearing many stories like Okiakpe’s of voters burdened by the law. Hudson, a George W. Bush appointee once known as “Hang ‘Em High Henry” for his tough on crime record, was also the first judge to rule against Obamacare. His decision will make it harder for the 200,000 Virginia voters without a driver’s license to cast a ballot. Virginia first passed a voter-ID law in 2012, which accepted non-photo IDs like a utility bill, pay stub, bank statement, government check, or Social Security card. The Justice Department approved the law. But after Barack Obama carried Virginia in 2012, the GOP-controlled legislature significantly toughened the law, accepting “only drivers licenses, voter ID cards, student IDs, and concealed handgun permits,” MSNBC reported. 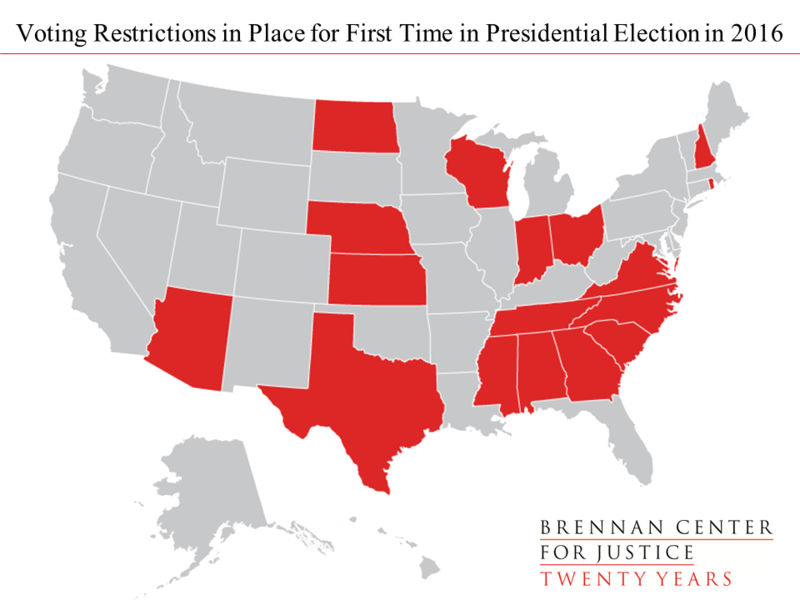 As a result, Virginia is one of 17 states with new voting restrictions in place for the first presidential cycle in 2016, according to the Brennan Center for Justice. There’s now overwhelming evidence that voter-ID laws are designed not to combat nonexistent voter impersonation but to make it harder for Democratic-leaning constituencies to vote. Yet conservative judges in states like Virginia and North Carolina keep upholding these laws. This underscores the importance of changing the courts, particularly the Supreme Court that gutted the VRA. Donald Trump released his short list of very conservative Supreme Court nominees this week. It’s important to remember that both Hillary Clinton and Bernie Sanders would appoint very different people to the bench.